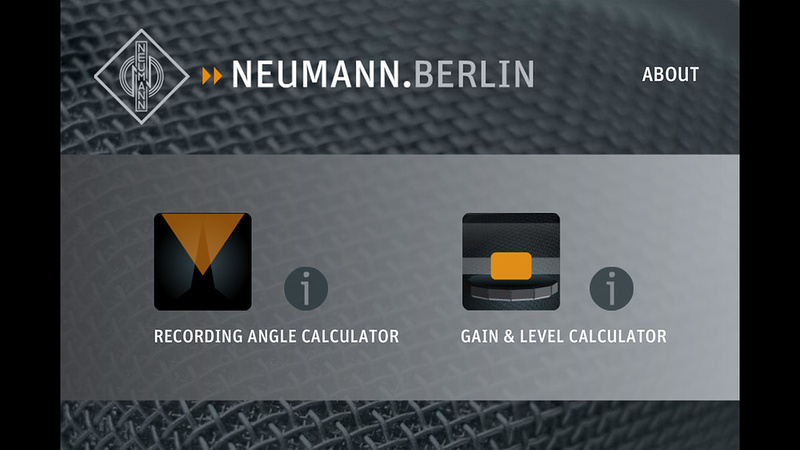 There are several tablet and phone apps to help determine optimum mic array setups for stereo recording, but one I’ve only come across recently (although it’s been available since 2012) is Neumann’s Recording Tools (available free for both iOS 6.0+ and Android 4.0+). As the plural title suggests, though, this is more than just a recording array designer; it also includes a dedicated calculator for microphone preamp gains and digital recording levels, which I have found particularly helpful. First, though, the Recording Angle Calculator tool provides an interactive graphical display relating the stereo recording angle (SRA) of a mic array to the polar pattern, spacing and mutual angle of the two microphones. Unusually, it also displays what proportion of the resulting stereo image is derived from inter-channel level differences and inter-channel timing differences. If the SRA term is unfamiliar, it defines the relationship between how far to the left or right of the mic array a sound source can be placed before it reaches the left or right loudspeaker when auditioned in a normal stereo monitoring setup. This is obviously critical information when deciding how to configure and position a stereo mic array. The Recording Tools app’s Recording Angle Calculator page.Across the top of the screen three displays indicate the mutual angle, polar pattern and mic spacing parameters that relate to the SRA shown in the large graphic below. Columns to each side show the balance of inter-channel level and timing differences, while grey regions extending from each mic show the ‘mono recording area’ (the on-axis region for each mic’s polar pattern bounded by -3dB limits). This provides useful guidance for mic placement in relation to the source, and to ensure spaced arrays don’t produce a ‘hole in the middle’ effect. 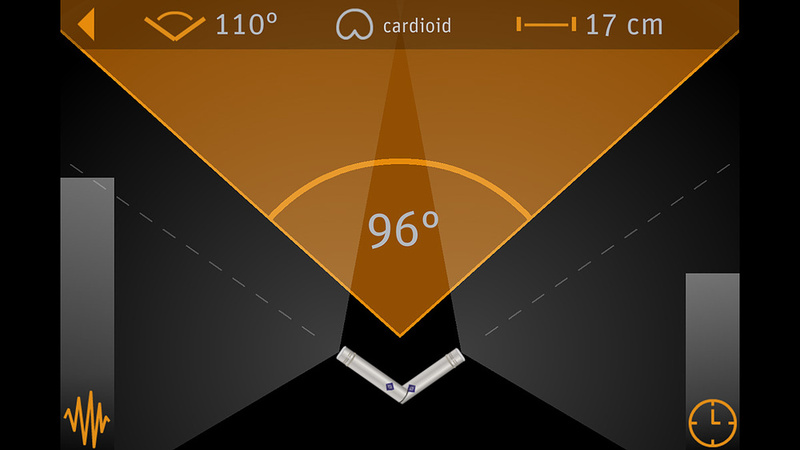 The app is fully interactive, so parameters can be entered for a preferred mic array to visualise the stereo recording angle, which then enables the mic array to be placed accordingly. Or — and I found this very useful — by standing where the mic array has to be placed (for practical or acoustic reasons), the SRA graphic can be dragged to match the actual spread of musicians in front of the mic. The displays then indicate the mic spacing and mutual angle to achieve the required SRA for a given mic polar pattern. 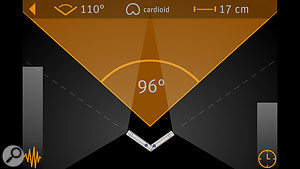 With the polar pattern window selected (offering omni, hypo-cardioid, cardioid, super-cardioid, hyper-cardioid, and fig-8 patterns), sliding to the right reveals two further option screens. The first provides presets for eight common stereo mic arrays (ORTF, Blumlein, three X-Y, and three A-B configurations), while the second selects the mic-spacing units (inches or centimetres). A detailed information page is also included explaining how to use the app. I found the Recording Angle Calculator accurate as a predictive planning tool, but also extremely useful for problem-solving on location. It is also really powerful as a training aid to explain how altering different mic array parameters affect the resulting stereo image. However, if Neumann are looking for ideas for the next update, I’d definitely add an option for Mid-Sides arrays to the wish list! The Gain and Level Calculator. 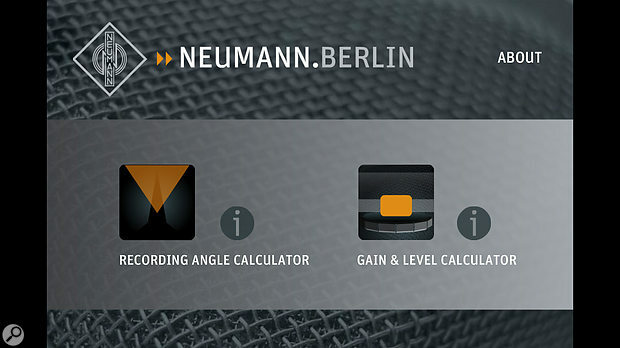 The other half of Neumann’s Recording Tools app is the Gain and Level Calculator and, although this looks rather numerical and complicated at first, it’s actually quite easy to use and extremely informative for gain-staging. Essentially, this app relates the signal levels at each of the four stages of a recording chain: the acoustic source, the microphone, the preamp and the A-D converter. 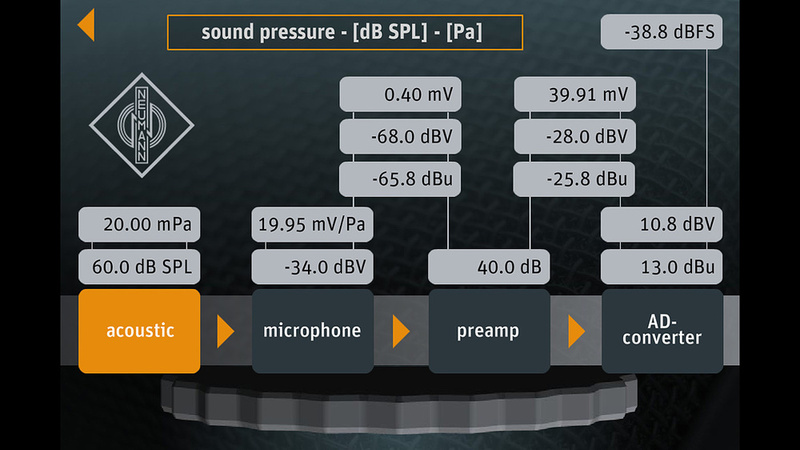 When the acoustic source box is selected, a thumbwheel at the bottom of the screen can be rotated to select a sound pressure level between zero and 160dB SPL (also shown in millipascals), while the next box allows the microphone’s sensitivity to be selected from 0.1 to 60 mV/Pa (also shown in dBV). With this information in place the app automatically calculates the resulting electrical signal level produced by the microphone, and three windows displays it in millivolts, dBV and dBu. The next box enables the mic preamp gain to be entered (0-80 dB) and another trio of displays reveals the resulting line-level signals in the same three formats as before, and then the final option selects the peak analogue input level for the A-D converter (from -20 to +30 dBu, and also shown in dBV). With all of this information in place, the last display box reveals the resulting digital signal level that will be recorded, measured in dBFS. For many this tool might seem overly technical but it’s really useful for working out how signal levels will change when, for example, a microphone is substituted for something with a different sensitivity, or for predicting nominal preamp gain settings in advance of a session, or for finding out the SPL of sources in the studio. I’ve been using Excel spreadsheets for these functions for decades, but to have them on my phone in such a fast and usable form has been a revelation. Being aware of the relationships between acoustic SPL, mic sensitivity, preamp gain, and A-D alignment is a useful skill for the recording engineer, and this tool makes it so much easier! I have found these Neumann tools invaluable in recent months, and can heartily recommend them as a very worthwhile addition to a phone or tablet. The app design is elegant and intuitive, the functions are accurate and real-world-useful and, best of all, the Neumann Recording Tools app is entirely free. What’s not to like?